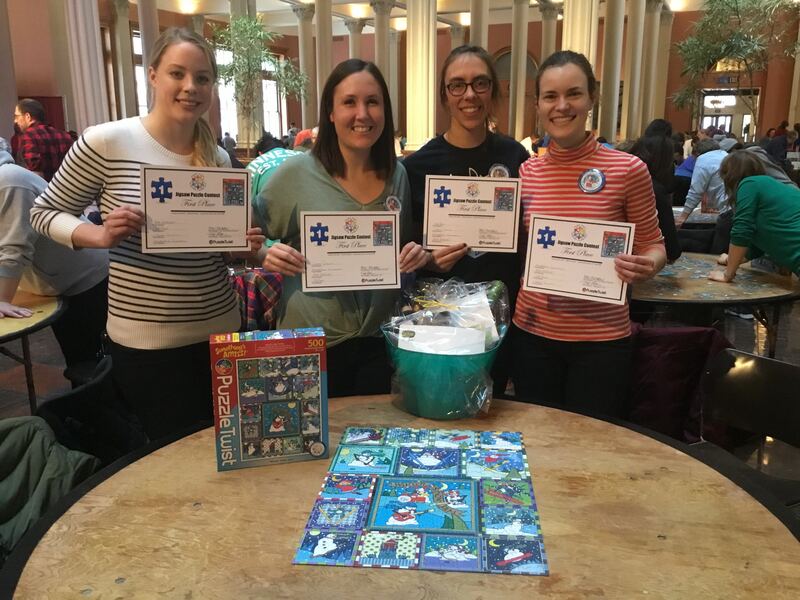 The 2019 Winter Carnival Puzzle Contest was definitely one to remember! We even opened up a second Adult Division due to the record breaking amount of puzzlers wanting to get in on the action. 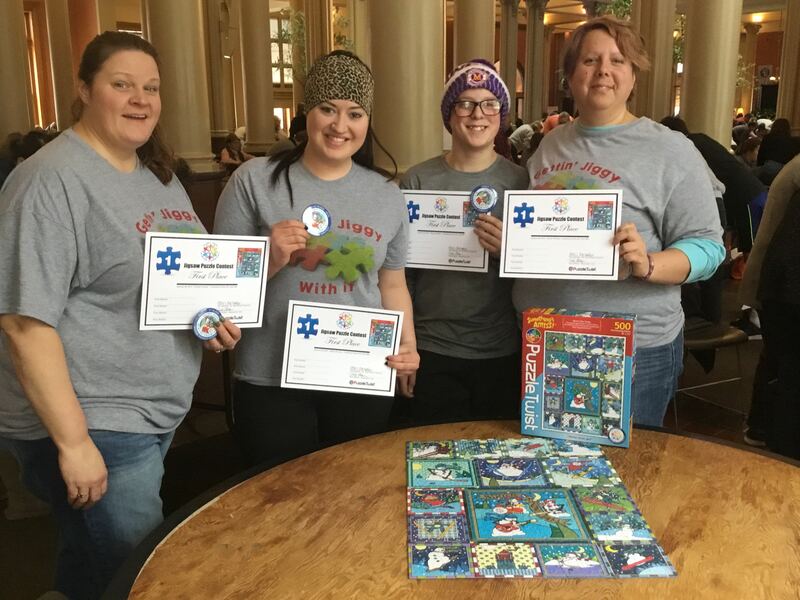 Thank you to our friends at PuzzleTwist for helping make this such a great event, and also to all the volunteers who lent a helping hand on the day of! 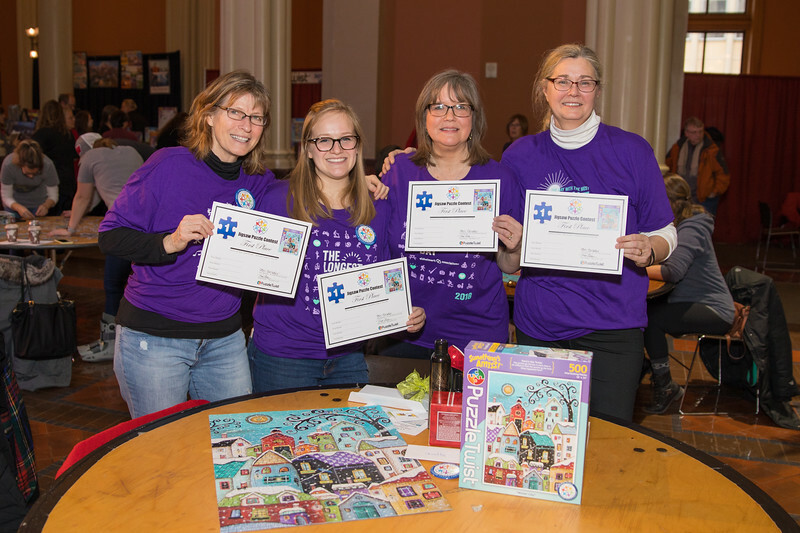 Over 150 teams of 4 people each competed in this years Winter Carnival Jigsaw Puzzle Contests – Talk about some tough competition! 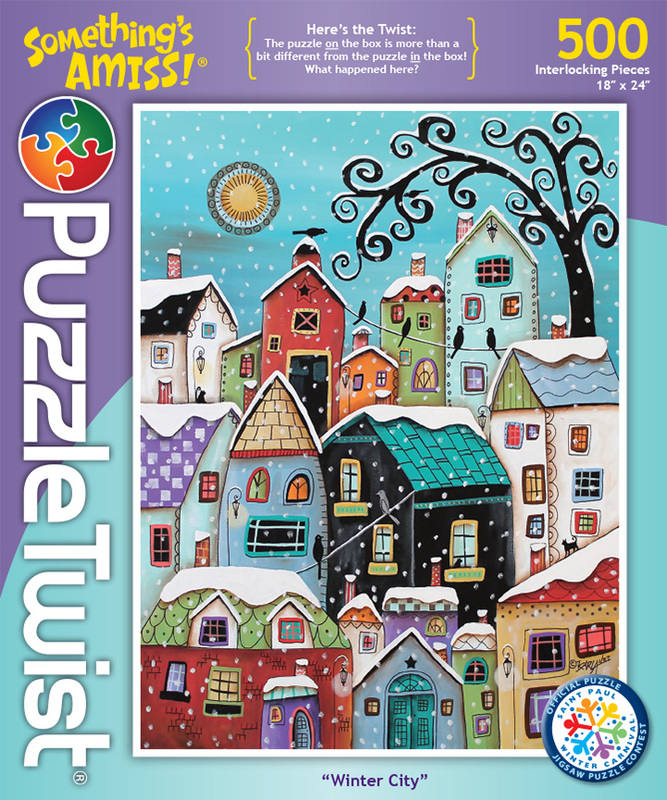 The contests included two different 500 piece PuzzleTwist jigsaw puzzles, Winter City and Winter Snow Jam. Congratulations to all the teams that participated. Following are the winners from their respective puzzle divisions. Want to see how you’d stack up against our 2019 winners? 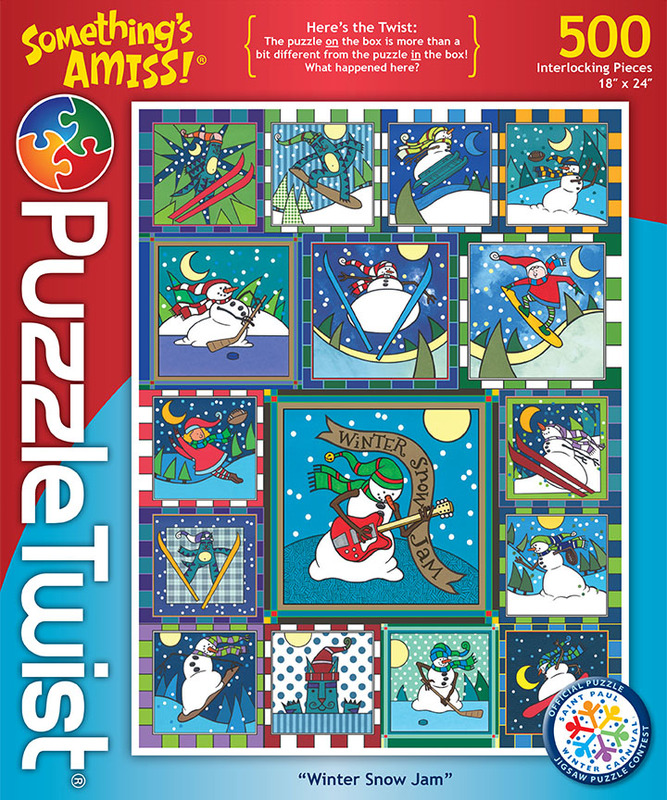 Both puzzles are available for purchase on the Winter Carnival online store!